First published in 1993, on the one-year anniversary of the Los Angeles riots, Race Matters became a national best seller that has gone on to sell more than a half million copies. 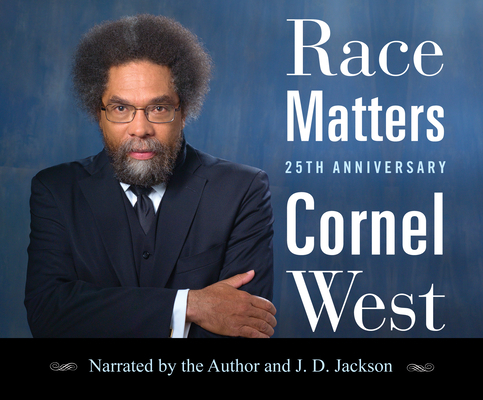 This classic treatise on race contains Dr. West's most incisive essays on the issues relevant to Black Americans. In a new introduction for the twenty-fifth-anniversary edition, Dr. West argues that we are in the midst of a spiritual blackout characterized by imperial decline, racial animosity, and unchecked brutality and terror as seen in Baltimore, Ferguson, and Charlottesville. Calling for a moral and spiritual awakening, Dr. West finds hope in the collective and visionary resistance exemplified by the Movement for Black Lives, Standing Rock, and the Black freedom tradition.